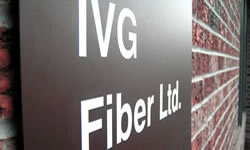 IVG Fiber was established in 1997 as an applied fiber-optic research lab specializing in fiber sensor design and development of specialty optical fibers. Capitalizing on its deep knowledge of polarization effects and their applications in sensing and telecommunications, the company has since delivered innovative solutions for fiber-optic industry. Initially focused on spun optical fibers and their use in current sensors and fiber-optic gyros, in 2004 IVG Fiber progressed into high-temperature and harsh-environment sensing by employing unique metallized fibers, which routinely withstand temperatures up to 600° C.
Today we offer a complete line of specialty fiber solutions for optical sensing: single-mode and multimode fibers with a variety of features and applications. And when it comes to system development, our area of expertise spans across all aspects of fiber-optic sensing: from mathematical modeling of light in fiber components to installation of distributed multi-sensor systems.